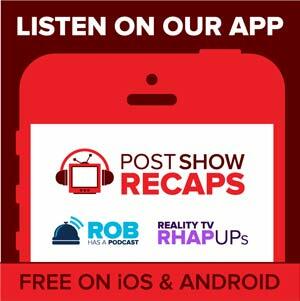 LIVE at 2 pm ET / 11 am PT on Tuesday, April 22nd, Rob Cesternino and Josh Wigler look back at 24 Season 7. Why does Josh loves Season 7 of 24? There was no 24 in 2008, thanks to the writer’s strike. How did the writer’s strike hurt or benefit Season 7? To make up for the yearlong absence of 24, Fox offers up 24: REDEMPTION, a two-hour TV movie set in Africa. What’s the quick take on REDEMPTION? How does it set up Season 7? Does 24: REDEMPTION tell us anything about 24: LIVE ANOTHER DAY? Moving onto Season 7, what’s the setup for the season? Goodbye Los Angeles, hello Washington. What does the new D.C. location do for 24? Does it work? Goodbye CTU, hello FBI. Does 24 benefit from losing CTU? How is the FBI portrayed? What does Josh like about these characters? Goodbye Wayne Palmer, hello Allison Taylor. 24 introduces a new, female president into the mix. What’s she like? Is she a strong character? Goodbye Tony Almeida, hello Evil Tony Almeida. The big controversy of Season 7: 24 turns Tony into a villain. Does it work? Do we buy his “resurrection,” and do we buy the character as a villain? Hello Renee Walker. 24 introduces its best female lead yet. Why is Renee so awesome? Hello Larry Moss, and goodbye Larry Moss. The head of the FBI is one of Josh’s favorite characters this season, and one of his all-time favorites. Why? And how does he die? Goodbye Bill Buchanan. Pour one out for the longest-running head of CTU. Why does Josh like Bill’s death so much? Hello Jon Voight. The Oscar-winning actor is the big bad of Season 7, and it’s great. Enough said? Some of the characters really don’t work, including Billy Walsh from “Entourage” as the FBI Mole, and Janeane Garofalo as the new Chloe O’Brien. Kim Bauer update. Has 24 finally figured out how to make Kim work? Goodbye Jack Bauer. He spends slightly less than half the day infected with a lethal pathogen, and given a terminal diagnosis. It’s an interesting idea that yields some good moments but doesn’t totally work. What’s good and bad about this? What’s Bauer’s most badass move of the day? Where is Season 7 in Josh’s power-rankings? How does this season Setup for Season 8?